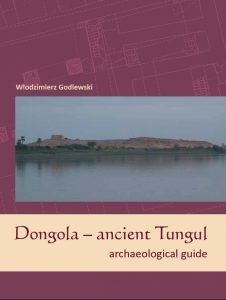 This archaeological guide, written by the director of the PCMA archaeological mission in Old Dongola, in the 4th Nile cataract region in Sudan, Prof. Włodzimierz Godlewski from the Institute of Archaeology, University of Warsaw. The book sketches a history of this capital of the Christian kingdom of Makuria and the place of the earliest known mosque in Sudan. It presents its art and architecture, including exquisite churches with colorful wall paintings, and enlivens the ruined dwelling districts with descriptions of its inhabitants’ daily lives based on the numerous artifacts excavated there. It is a concise, richly-illustrated overview of the history and material culture of the site, based on the most up-to-date state of knowledge. It will satisfy the needs of students who look for a scholarly, yet user-friendly introduction to the site and its background and for enthusiasts of the history and archaeology of the region. Travelers planning a journey off the beaten track will find it a first-rate (and often the only available) source of information on the historical monuments they are about to visit. The book, published in English with an Arabic summary, counts 166 pages with over 200 illustrations (mostly colored), including plans of buildings, artifact drawings.